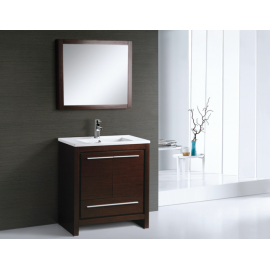 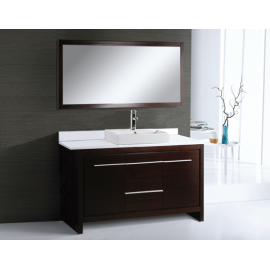 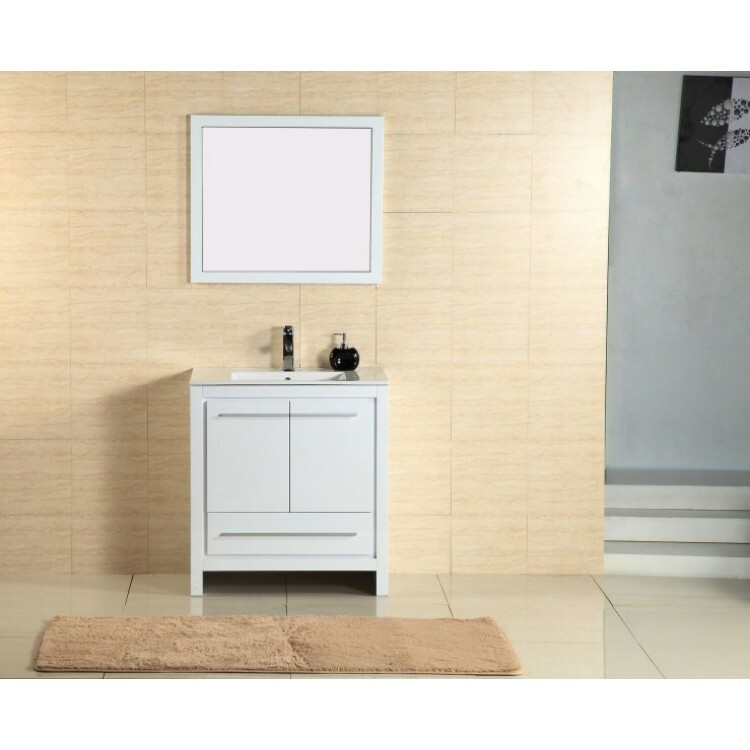 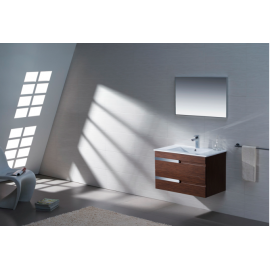 Home » Contemporary » Alexa 30"
All wood vanity with wenge veneer, floor standing with ceramic top and integrated basin. 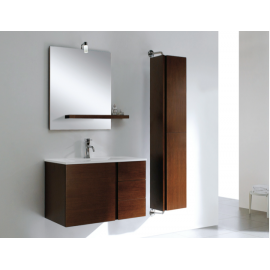 Matching mirror included. 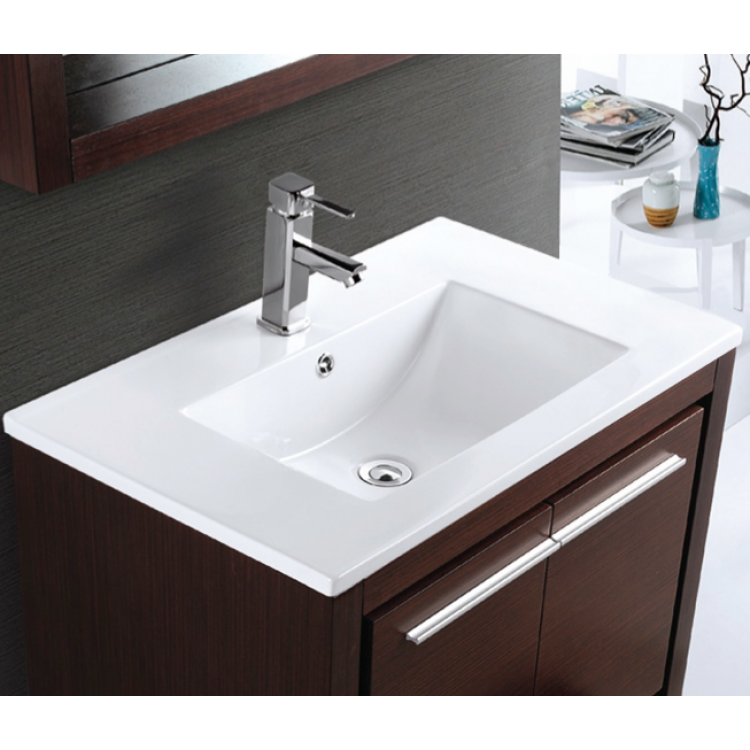 Also available in a glossy white finish.